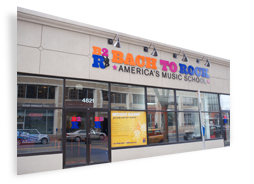 Bach to Rock (B2R), America’s music school for students of all ages, announced today that a lease has been signed for its first school in Tampa, which is slated to open in fall 2018. Tampa resident, Rick Schmidt, is the new franchise owner of the school which will be located in the Van Dyke Commons shopping plaza at 17463 N. Dale Mabry Highway, Lutz, Florida, 33548. “We are thrilled to be opening a school in Tampa and with Rick Schmidt at the helm, it is bound to thrive,” said President of Bach to Rock, Brian Gross. “Rick Schmidt’s experience in the radio and music industry includes programming Tampa’s 98Rock and some of the nation’s largest rock radio stations, signing recording artists to music labels and marketing large events and venues.” As a radio program director, Schmidt helped launch the careers of Sister Hazel, Creed and Shinedown. With an eye and ear for talent, Schmidt has represented various artists that have collectively: sold over 1.5 million albums; scored four top-15 rock hits; received video play on MTV; had music featured in video games, and even had one artist provide the walk-up song for former Tampa Bay Rays baseball all-star, Evan Longoria. Currently a marketing and music executive, he aims to leverage his 20-plus years of industry expertise to introduce families to Bach to Rock’s innovative music enrichment program and inspire a new generation of musicians. Additionally, he has spent most of his life as a Tampa resident and now is raising his four active children in the Odessa community. “Tampa Bay area families will surely benefit from the progressive music education program that Bach to Rock provides in a variety of music genres like alternative, country, pop, rock, jazz and edm,” said Schmidt. A few years ago, he researched music schools for his children and found that most local schools are in teacher homes or small offices. He wanted to find something unique and innovative, not only for his kids, but other aspiring musicians. Bach to Rock was the answer. Bach to Rock offers a fun and cool approach to music education - gone are the days of boring and solitary lessons. “Owning a Bach to Rock school enables me to bring together everything that I love. I can give back to my community, help cultivate future musicians and jump start the music education industry here in Tampa,” continued Schmidt. Bach to Rock Tampa will offer a variety of programs for students of all ages including: individual and group lessons in piano, voice, guitar, drum, DJ and more; music programs for preschoolers and toddlers; beginning piano for children in grades K-2; along with summer camps and birthday parties. Bach to Rock also offers MyB2R, an online dashboard offering customers real-time access to student progress and more. MyB2R is the only digital service of its kind in the music school industry, and provides the ability to track student advancement, schedule lessons, obtain homework and stream over 300 pre-recorded songs to practice at home.